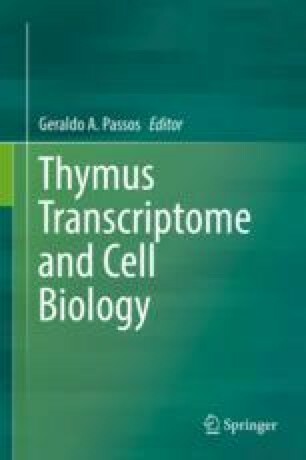 T-cell development occurs in the thymus in both mice and humans. Upon entry into the thymus, bone marrow-derived blood-borne progenitors receive instructive signals, including Notch signaling, to extinguish their potential to develop into alternative immune lineages while committing to the T-cell fate. Upon T-lineage commitment, developing T-cells receive further instructional cues to generate different T-cell sublineages, which together possess diverse immunological functions to provide host immunity. Over the years, numerous studies have contributed to a greater understanding of key thymic signals that govern T-cell differentiation and subset generation. Here, we review these critical signaling factors that govern the different stages of both mouse and human T-cell development, while also focusing on the transcriptional changes that mediate T-cell identity and diversity. Kogulan Yoganathan and Edward L. Y. Chen contributed equally to this work.